Ever wonder which states are East of the Mississippi river? There are twenty six ( 26 ) of them. Here are all 26 in alphabetical order and on a map with the states shown in White. 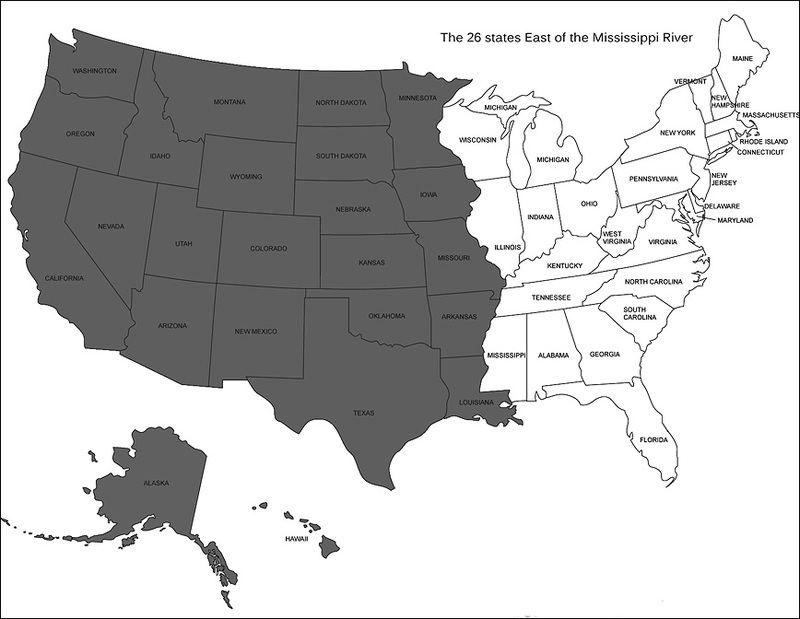 Map showing the twenty six (26) US States East of Mississippi River in white. Use this link to view the 24 states West of the Mississippi. The material on this page is Copyrighted now and forever.